Fly above the Chicago skyline. 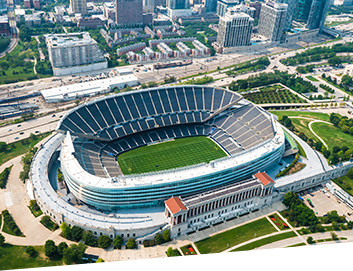 This tour takes you over all of Chicago’s most notable landmarks and parks, Soldier Field, Millennium Park, Sears Tower, John Hancock Building, Navy Pier, Lincoln Park, Wrigley Field, Montrose Beach and much more. This tour also includes the North Shore. Flight time is about 45 minutes. 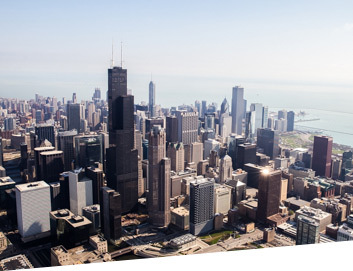 Fly a private helicopter tour from Chicago Executive Airport in Wheeling, IL straight to the Chicago skyline and back. See the impressive Downtown Chicago Skyline, Navy Pier, Wrigley Field, and many of the Chicago landmarks. Flight time is about 35 minutes. If you’ve always wanted to fly in a helicopter, this tour is for you. You’ll experience a scenic tour of Chicago’s northern suburbs. 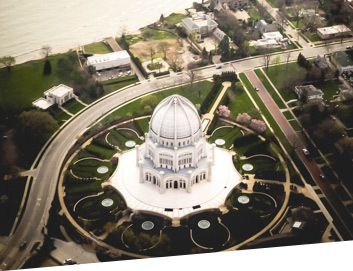 If you live in Wheeling, Northbrook, Glenview, Wilmette, Skokie or Evanston, this is your chance to see your neighborhood from above. Flight time is about 15 minutes. Weight limit is 250 lbs per seat. Passengers must be 16 years old or older, with valid photo ID, or accompanied by an adult to fly. Other restrictions may apply. Tours may be canceled due to unsafe weather conditions. Prices subject to change without notice. When would you like to fly? Enter a Coupon code, if you have received one.